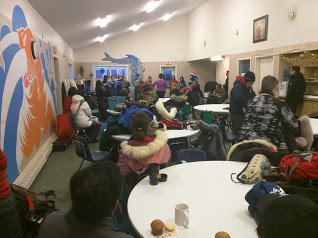 The Qayuqtuvik Society is Iqaluit's Soup Kitchen. We are located in Nunavut, Canada. Food security is a vitally important issue in this area, despite being in food-rich Canada. We will be posting more links and videos about what we do and why it is important. This account will soon be closed. Thanks for all your donations! Thank you all for your continued support! We are serving up some great meals for the holidays. Inuksuk High School Choir entertains. I sent message, asking if Visa Debit can be made an option under payments accepted.